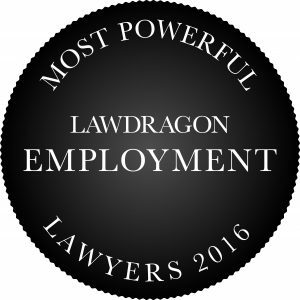 Lawdragon is proud to present the 2016 Guide to the Most Powerful Employment Lawyers, the result of hundreds of law firm submissions and editorial research conducted over the past year. This is the ninth annual guide to leading corporate, defense-side employment lawyers we have produced in partnership with Human Resource Executive (HRE) magazine. In addition to the 100 Most Powerful Employment Lawyers below, you can also view the Top 20 in Employee Benefits; the Top 20 in Traditional Labor & Employment Law; the Top 20 in Immigration; 40 Up and Comers in the field; and, for the fourth year, a Hall of Fame list. Jay P. Krupin BakerHostetler Washington, D.C.
Donald R. Livingston Akin Gump Washington, D.C.